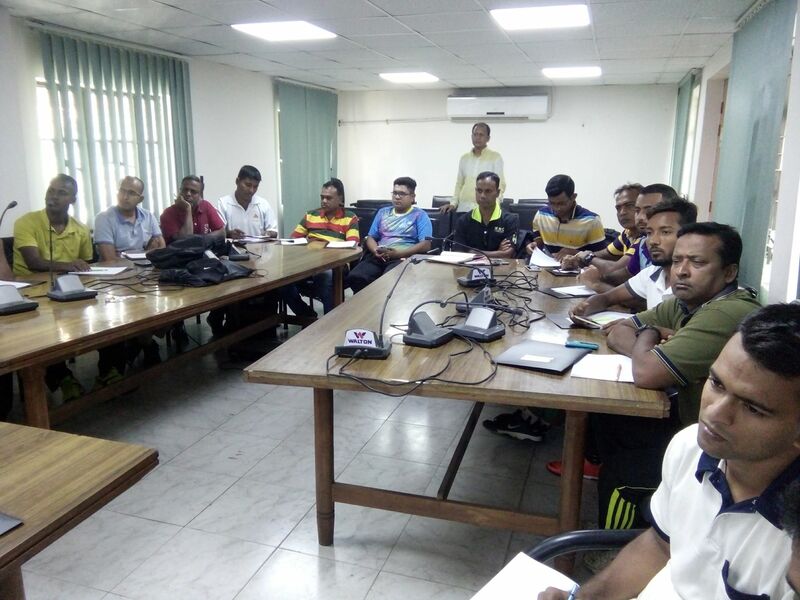 Dhaka: The Bangladesh National Coaching Course commenced yesterday. 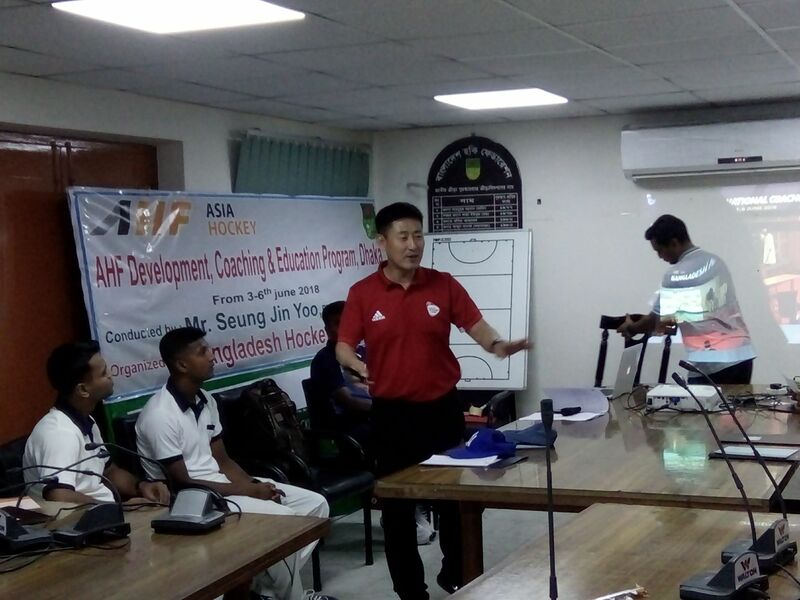 FIH Trainer and Coach, Mr. Seungjin Yoo is conducting the course while Mr. Ashiquezzaman and Mr. Moududur Rahman Shuvo are the course coordinators. 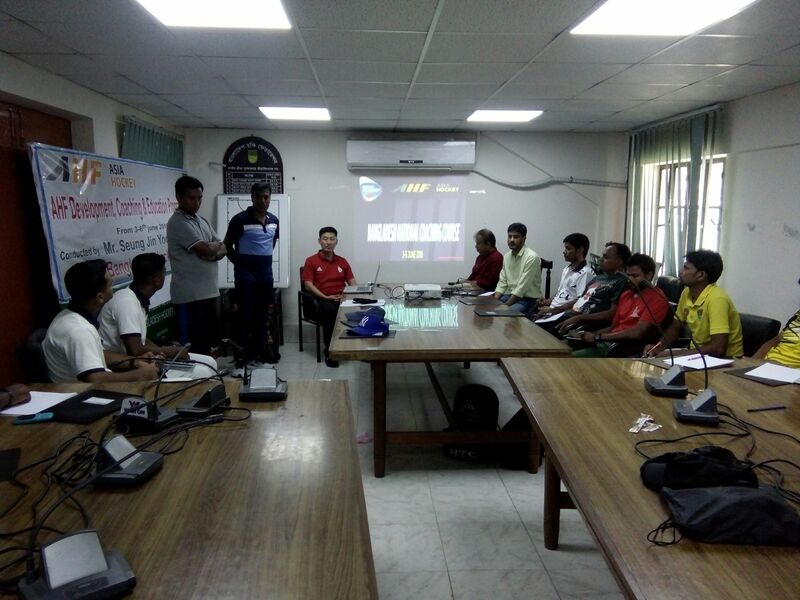 A total of 23 participants have signed up for the course. 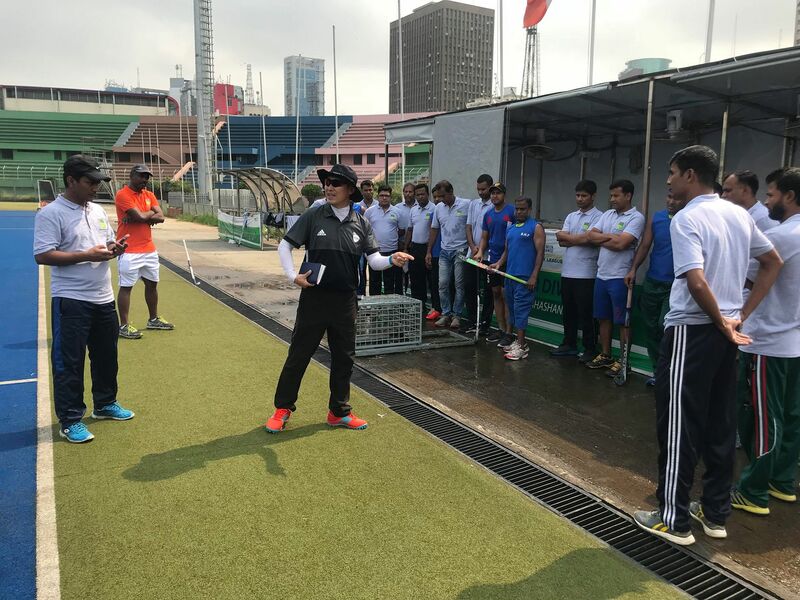 Participants will get a chance to learn and interact with one of the leading FIH Trainers till the 6th of June! 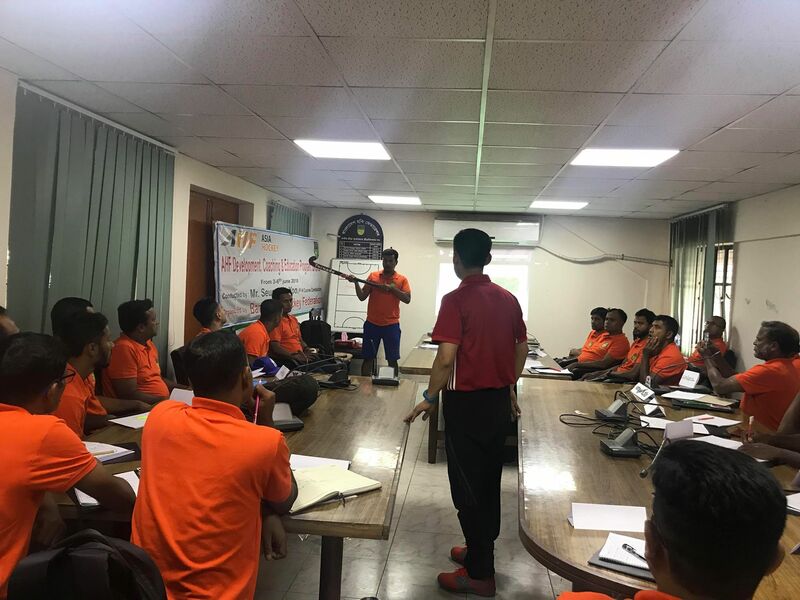 Course conductor, Mr. Seungjin said, “It is great to see the positive attitude of all individuals and the level of their questions is impressive and commendable”. 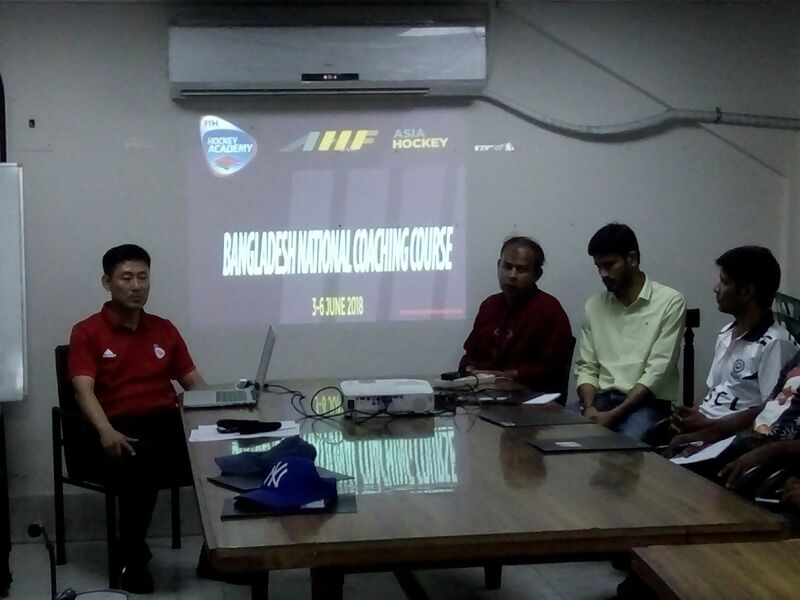 He added, “the participants form a good pool of representatives from many different clubs and departments in Bangladesh. 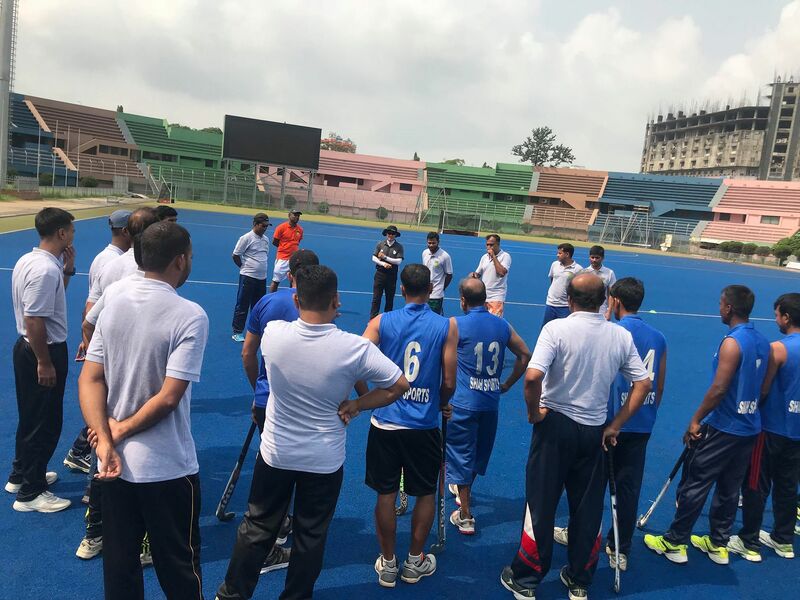 I hope that the learnings from this course will be spread throughout their circle, and it will bring about a further positive impact on the Sport in a nation that has progressed markedly in the region, and is on its way to becoming a dominant force in Asia”. 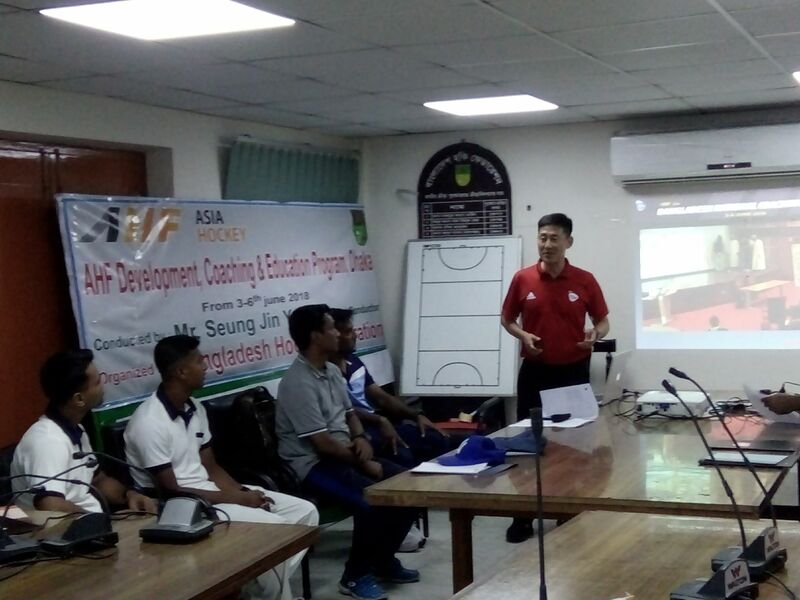 The Asian Hockey Federation aims to assist the technical staff with the AHF Development and Education Program 2018. 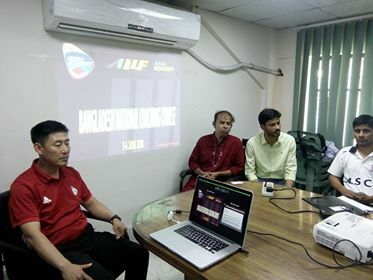 The development activities in training coaches, umpires, and technical officials are progressing faster than ever with more and more Asian federations taking productive participation in the courses. The courses are designed to combine experienced people to present the methods to play, coach, officiate and manage the sport of hockey. 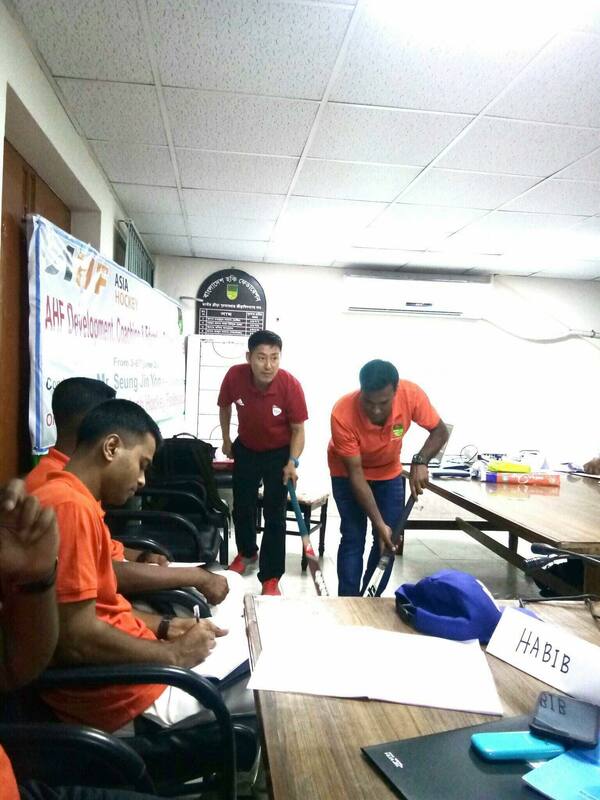 The participants are exposed to the best strategies and protocols to manage teams and high-level tournaments. 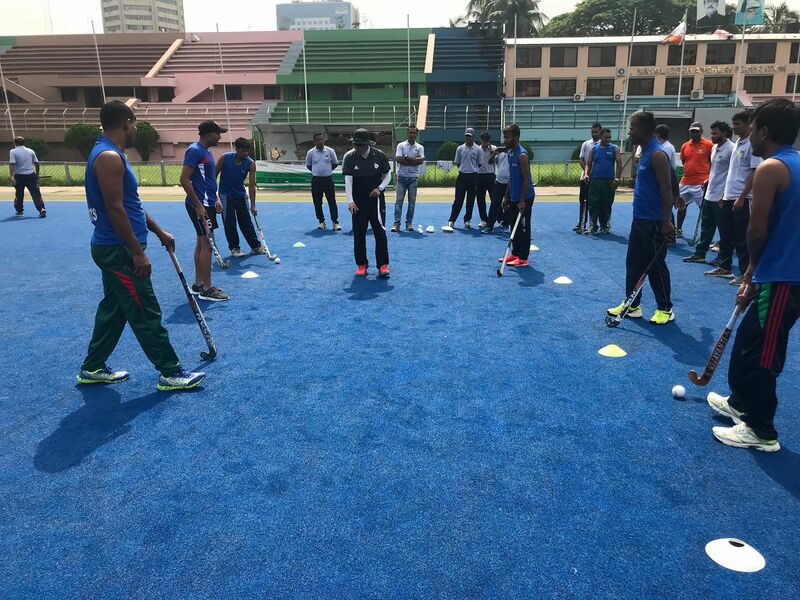 The courses are divided into 4 levels: Level 1, Level 2, Level 3, Umpiring and Coaching along with High Performance. 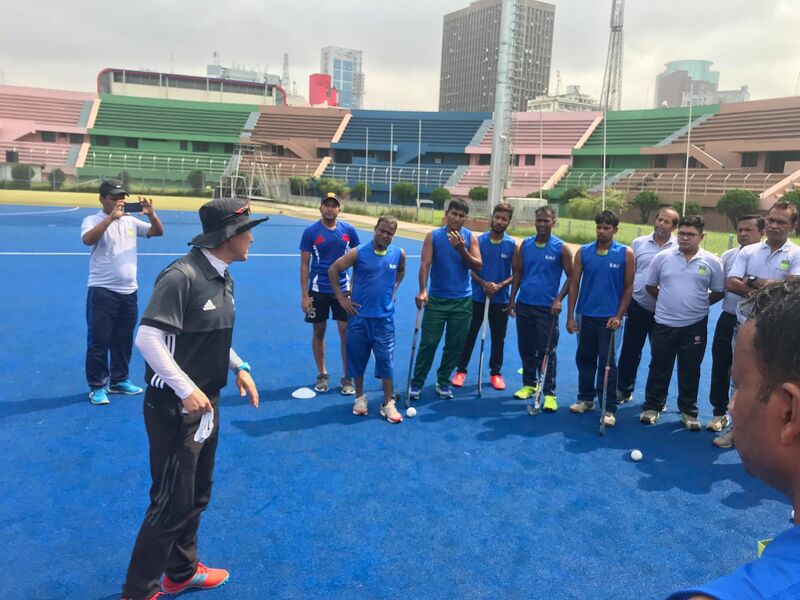 To move through the ranks of coaching, umpiring and technical officials a participant must successfully complete each level. 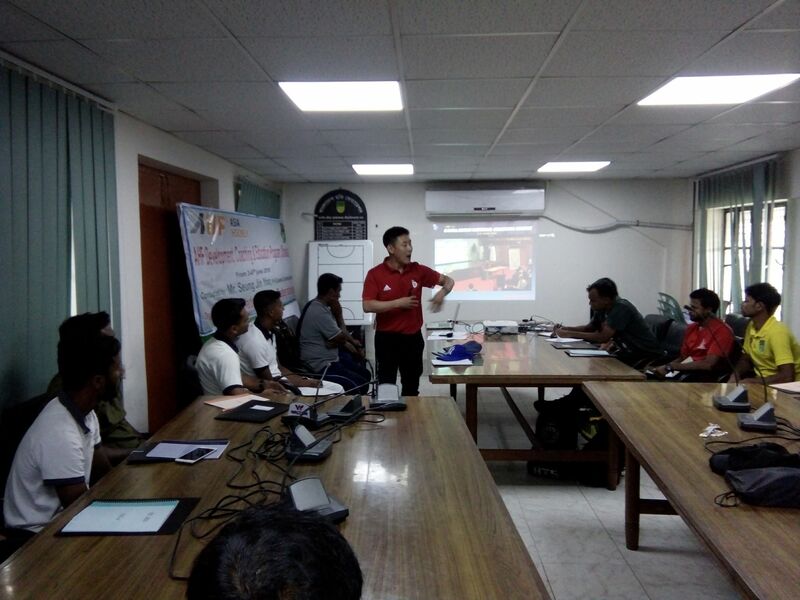 The aim of the AHF Education and Development Program 2018 is to provide a simplified education structure and resources for AHF Members Nations. 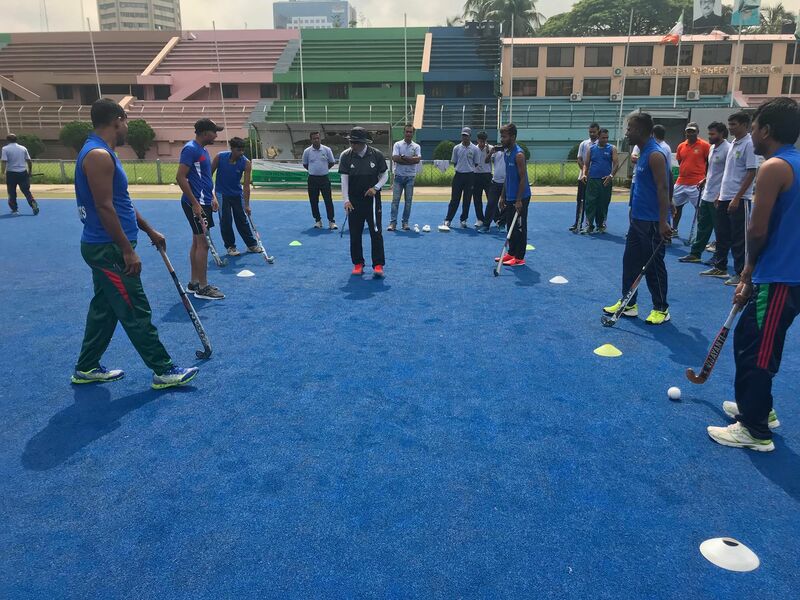 All nations will have the opportunity to access the program pathway at an appropriate level.